'VoxAnatolis National Moot Court Competition'. 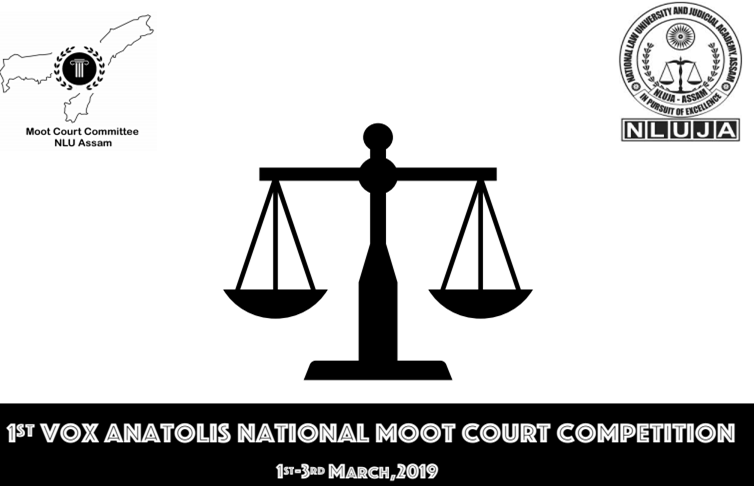 In its maiden edition, the Moot Problem of the VoxAnatolis National Moot Court Competition is based on Constitutional Law, Rights of Refugees, Rights of Indigenous People, Citizenship and other allied themes. Location: National Law University and Judicial Academy Assam, Guwahati. The maximum number of teams that can take part in this competition is 20, decided on a first come first serve basis.